TV3 is to undergo another relaunch in mid-2018 according to their CEO at the launch of their 2018 Spring schedule. Following on from buyout of TV3 by Virgin Media Ireland TV3 will re-launch in mid-2018 as Virgin Media Television, however no decision have been made on the naming of the individual channels, TV3, 3e and be3. The name change announcement was made with the launch of TV3\\\\\\\'s spring schedule, which see them take on Six Nations Rugby, Ireland\\\\\\\'s Got Talent and the return of Red Rock. RTE have announced the nominies for the RTE Sports Person of the Year Award 2017. The award is given to a sports person who has achieved success during the year. The nominations are A. Rena Buckley (Camogie), B. Ryan Burnett (Boxing), C. Joe Canning (Hurling), D. Katie-George Dunlevy and Eve McCrystal (Para-Cycling), E. Noelle Healy (Football), F. James McClean (Soccer), G. Michael McKillop (Para-Athletics), H. Andy Moran (Football), I. Conor Murray (Rugby), J. Paul O\\\\\\\'Donovan (Rowing), K. Robbie Power (Horse-Racing), L. Jason Smyth (Para-Athletics), M. Katie Taylor (Boxing) and N. Joe Ward (Boxing). To vote text between the letters A to N to 53125, across the Island of Ireland. France have been announced as the hosts to the Rugby World Cup 2023, beating of competition from Ireland and South Africa. South Africa had been tipped to host the competition after it came out on top in all categories by the The Rugby World Cup Limited (RWCL) Board, however following 2 rounds of votes France was selected by the team nations. Ireland received 8 votes in the first round of voting and where then excluded from the second round of votes where France received 24 votes to South Africa\\\\\\\'s 15. The Irish Rugby World Cup 2023 bid falters as South Africa look likely to host the tournament in 2023. The Rugby World Cup Limited (RWCL) Board has unanimously recommended to the World Rugby Council the selection of South Africa as Rugby World Cup 2023 host. The World Rugby Council will now meet on 15 November in London to consider the recommendation and vote on the next host. When it won the rights to air the Rugby World Cup TV3 announced that it would launch TV3HD. 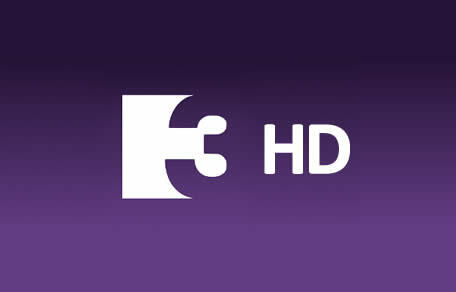 As expect TV3HD will not launch on Saorview. TV3HD will be available only on pay TV platforms Sky and UPC. TV3HD will launch in August 2015 with the arrival of the RWC from England on the 18th of September 2015. This will mark the first time that TV3 have hosted a full interational event, previous it co-hosted the 2007 RWC with Setanta Sports. TV3 will be available on UPC and Sky platforms in HD from August just in time for the Rugby World Cup. TV3 confirmed its exclusive coverage of the Rugby World Cup: England 2015. All 48 matches will air on TV3 in September providing free-to-air coverage across Ireland on Saorview. The announcement was made at The Merrion Hotel in Dublin on Thursday (26/02/2015). Coverage will be hosted by Matt Copper. TV3 and the IRB have announced that TV3 will be the Irish broadcaster for all 43 Rugby World Cup Matches in 2015, which take place in England. TV3 also announced its plans to provide a HD service across all platforms by mid-2015, in time for the RWC which takes place from 18 September to 31 October 2015. The news comes as a welcome relief to TV3 who had lost major programming right to UTV Ireland and Sky Sports in recent months. TV3 had previously provided free coverage to the 2007 RWC, with the majority of games on Setanta Sports. Craig Clarke and Aly Muldowney have return to training for Connacht, allowing both to be put forward for selection this week. Criag Ronaldson has also return to the squad from his injury. There were no major injury concerns after their victory on Saturday against Zebre. Michael Kearney left the pitch with a shoulder injury but it is hoped that the 22 year old will be available towards the end of next week. Results of this weekends rugby around the country. In division 1A Clontarf beat Young Munster 46 to 28, Dolphin scored 25 to Ballynahich's 18, Lawnsdowne were victorious over Garryown with 35 against 10, in a close game Old Belvedere 27 to St. Mary's College's 25 and UCD were winners at Belfield to Cork Constitution 23 to 17. Premiership Rugby in the UK have reportedly sold UK broadcast rights to the Heinken Cup to British Telecom (BT). This deal would see BT continue its foray into Sport after it also bought rights to FA Premiership games. However, the ERC have also sold rights to the games for Britain and Ireland to Sky Sports. The ERC believe that such a deal between Premiership Rugby and BT is in breach of both IRB regulations and a mandate from the ERC Board itself. Ulster have added Chris Henry and Dan Tuohy as Munster head north to Ravenhill to line up against the Ulstermen. Neither of the Ireland forwards were placed on the Ulster team in the first two RoboDirect PRO12 games, this was due to the rugby's player management programme. The soccer (The Football Association of Ireland) has announce that Ireland will play England in two friendly matches over the next two years. The first match will be played in Wembley on May 29, 2013 and the second will be play in Lansdowne Road in November 2014. The rugby have announced Fixtures for the Women's All Ireland Rugby League Fixtures. UL Bohemians are set to defend the title, their first match is against St. Mary's College on September 23rd. Galwegain's took Cup last year against Highfeild. Ulster pre-season training is into its fifth week and new head coach Mark Anscombe is happy with the hard work of the players. He wants to develop the fundamental in the run up to the season. Most of the Ulster players have had four weeks of training and over the week international and under-20 players will be integrated into the training regime. Anscombe said that it has been a "bit frustrating" because so many of the players have had a "jagged start" to training. The Irish Rugby Football Union (rugby) has announced a surplus of €7.8million for 2011/2012. This is ahead of the budgeted outcome. The Honorary Treasurer of the sports organization said "While it is pleasing to be able to report a net surplus it is important to note that some €12.4m of revenues and €7m of costs are non-cash items. This effectively means that the rugby generated net cash of just €2.4m from its operations during the year which, whilst very welcome, is considerably less than the €7.8m surplus."